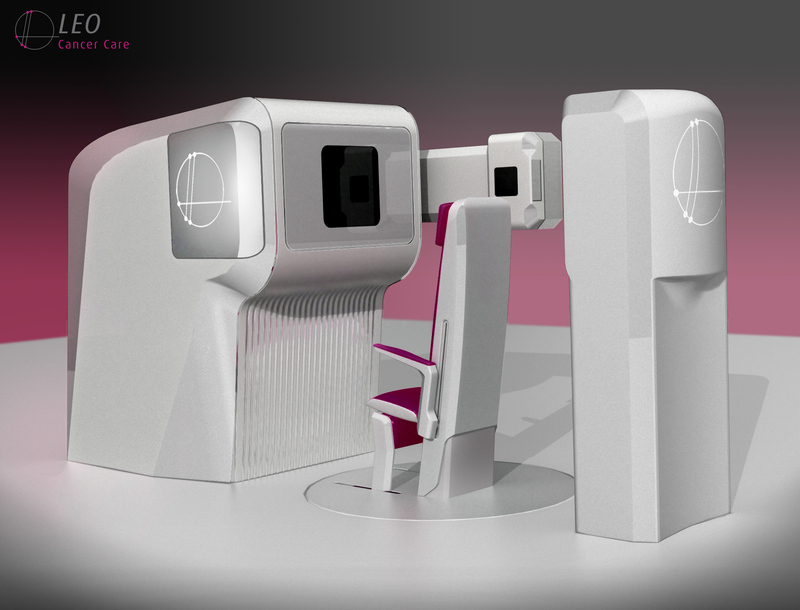 Leo Cancer Care is a company developing upright radiotherapy solutions based on research from MD Anderson Cancer Centre. This research indicates better treatment plan results for 71% of typical patients treated in the upright position. Leo Cancer Care is developing upright radiotherapy devices. They believe it is clinically advantageous to treat patients upright. The devices may also reduce costs and machine size in the X-Ray market and the Proton market. Leo Cancer Care is developing a full radiotherapy treatment device, Ruby, to treat cancer patients. Current industry practice is to position a patient horizontally on their back and to rotate a six tonne machine around them to deliver radiation from different angles to sub-millimetre accuracy. Research from the MD Anderson Cancer Centre in Houston has shown that treatment efficacy is improved by treating patients in the upright position rather than horizontally. The Leo Cancer Care engineering team has also demonstrated that by keeping the radiation fixed and instead rotating the patient, the size and cost associated with treatments can be reduced by a factor of two. Leo Cancer Care (formerly Nano-X) was founded in 2014 in Sydney, Australia. It was founded based on research from the MD Anderson Cancer Centre in Houston Texas. Having completed 2 years of product development to an ISO 13485 quality management system, Leo Cancer Care is relocating the the United States to raise funds and finish the remainder of the product development. In 2016, Leo Cancer Care received $2.5M dollars in non-dilutive government grant funding after winning the New South Wales Medical Device Fund. In June 2018, the first detailed design phase was closed off resulting in a full drawing pack ready for prototype manufacture. In October 2017, a full workflow formative evaluation was completed at the Nelune Comprehensive Cancer Centre in Sydney. In 2017, the Quality Management System was established within which all product development has been completed. In 2016, Leo Cancer Care was the recipient of a $2.5M non-dilutive government grant from New South Wales Health. McCarroll RE , et al. As CEO of Leo Cancer Care, I am passionate about improving access to the best possible cancer care globally.